Pauline Lhote, the director of winemaking for sparkling wine brand Chandon, was born in Champagne, France, so it's only fitting that by the young age of 14, Lhote had decided to become a winemaker—and not just any winemaker. She wanted to make sparkling wine, which is just more interesting, she tells Food & Wine. 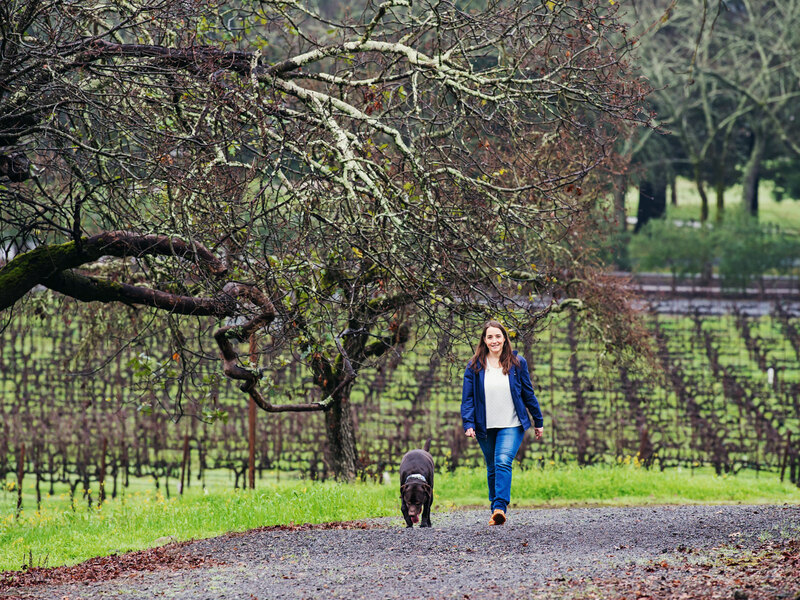 After an internship at Chandon's California branch, Lhote was hired, working her way up to winemaker in 2015, head winemaker in 2016—ascending to director of winemaking last year, a job that has proved exciting and different almost every day. "My job is extremely seasonal," Lhote explains. "I go with the flow of the vineyard." Here, Lhote gives us a peek into a typical day during the vineyard's tasting season, when the staff is busy perfecting each wine. Hint: She tests a lot of wine each day. 6:30 a.m.: My alarm goes off and I can see out the window it is raining. I’m glad—we need the rain; we're behind this season. There’s no sleeping in because Bailey, my chocolate lab, doesn’t allow it. He wants his breakfast. While he eats, I drink my tea. 6:50 a.m.: I take Bailey for a walk in the vineyards near my house, in northern Napa. Bailey is two-and-a-half and she's a handful because she's still in full puppy mode. But she is extremely lovable and she really likes to hike; it's a pleasure to take her. 7:30 a.m.: I shower and dress for work. From home, it takes just eight minutes for me to get to the winery. I usually just wear jeans and work boots—but today I also throw on a blazer, too, because we have an executive meeting later this afternoon. I grab some biscuits to eat on the run. I usually eat breakfast in my car; I know it's a bad habit, but it's all about getting it done and getting to work as early as possible. 8 a.m.: I drop my stuff in my office and do a quick walk around in the lab and cellar to check in with my team. I have about 10 team members I work with every day. 8:30 a.m.: It's all about emails and paperwork. Even though we are based in Napa, Chandon California is a part of a global company, so I work with teams in New York, Brazil, and France on a daily basis—and with the big time differences between us all, I usually arrive to a very full email in-box. 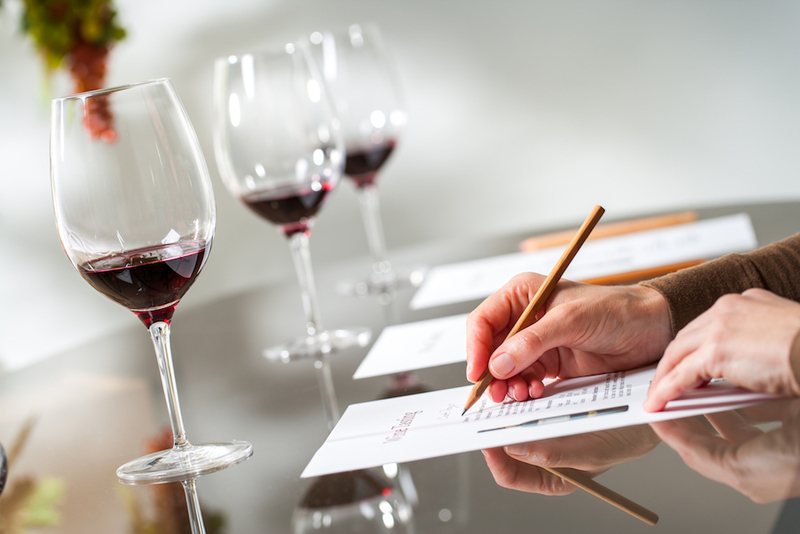 10 a.m.: I head to the lab to taste base wines—where we are in our winemaking cycle this month—with my winemaking team. We have all the still white—at least, mostly white, because some from red grapes have a blush tint—in from different vineyards and different grapes. For example, we have Chardonnay from Mt. Veeder and Pinot Noir from Carneros. 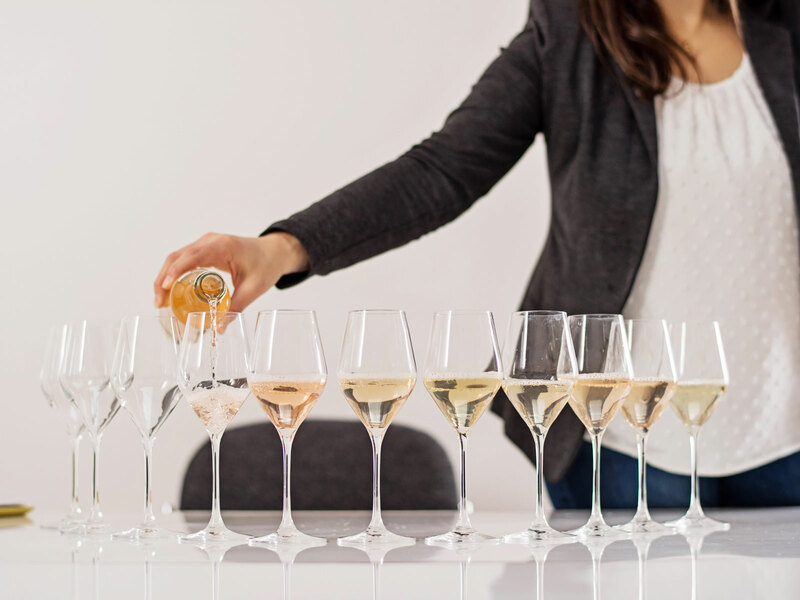 For a week, we taste 40 to 60 base wines each day to determine what the blend will be for a particular sparkling wine, and then we put the blend in the bottle with a little bit of yeast, which is the second fermentation—the way we get bubbles. We take lots of notes during this process and there is a lot of discussion amongst the team. After the tasting, I make sure to drink a glass of water; base wines are so acidic they can ruin your tooth enamel if you’re not careful. 11:28 a.m.: I have to answer more emails and make a few phone calls. I finally do my yearly self-evaluation performance review—ugh!—which I’ve been putting off until the last minute. 12:40 a.m.: I head home for a quick lunch because I live so close to the winery. I say 'hi' to Bailey, and it’s a nice break in the day. I went to Oxbow Public Market over the weekend, so I have lots of lots of good stuff to nibble on, including some cheese from Cowgirl Creamery, which is one of my favorite local cheesemakers. 1:30 p.m.: It's time for our weekly executive meeting. All the company's directors—the operations director, the vineyard director, the finance director—are all together talking about our five-year plans, and our strategy for wine over the next five years. 3:10 p.m.: Now I have another tasting—this time of dosage trials. Lately, we’ve been working on the rosé. Today, we have eight samples, and are checking different sugar levels to find the right one and strike a perfect balance. 4:30 p.m.: I call a viticulturist to discuss replanting plans for Carneros vineyards. We are one of the largest owners of land in Carneros, and we have plans to put additional vineyards in. We're talking about what type of varietal we should plant—should it be Chardonnay, or maybe Pinot Noir? There are lots of decisions to be made when you are starting from scratch. 5:20 p.m.: I grab a glass of brut and sit down to discuss Chandon’s 45th anniversary planning with Korinne Munson, our director of communications. Our tasting room has just closed and things are quiet—so instead of meeting in my office we decide on a room with a better view. We’re trying to come up with a creative spin for the big day—we don't want to just have a regular old anniversary party. We decide the star wine of our anniversary is going to be our Blanc de Noirs, because it’s the first wine that will have been 100 percent under my creative direction. I’ve been at Chandon for 12 years, and was promoted to head winemaker two years ago. Because of our aging process, it takes two years to produce a sparkling bottle—and I’m excited the wines that show my true style are about to be released. 6:30 p.m.: I head to Bistro Jeanty for dinner with a friend. The chef used to work at Chandon and like me, he is also from the Champagne region of France. I really love his food. I get a salad almost every time I come here, and tonight I get the Salade Lyonnaise, a favorite. And because it’s a bit chilly and damp, the tomato soup is perfect accompaniment. I love it because it comes with the puff-pastry on top. 8:40 p.m.: I finally head home. I'm usually in bed by 9:30 p.m. or 10 p.m. each night. If I push too much past 10 p.m., I get too tired the next day and can't function.